The UK has a few different species of clothes moths, but you can identify them by the folded wings, like a tent along their back. Adult clothes moths are generally 6-7mm long with pale, plan golden-buff wings, but the rarer Case-Bearing clothes moths have three dark brown spots on each wing. Although adult clothes moths don’t directly cause any damage when feeding, it is the larvae from their sticky eggs that eat wool, hair, fur or feathers. Preferring to hide in your cupboards and closets, they eat your blankets, wool carpets and garments or upholstery that have been soiled by perspiration or food. 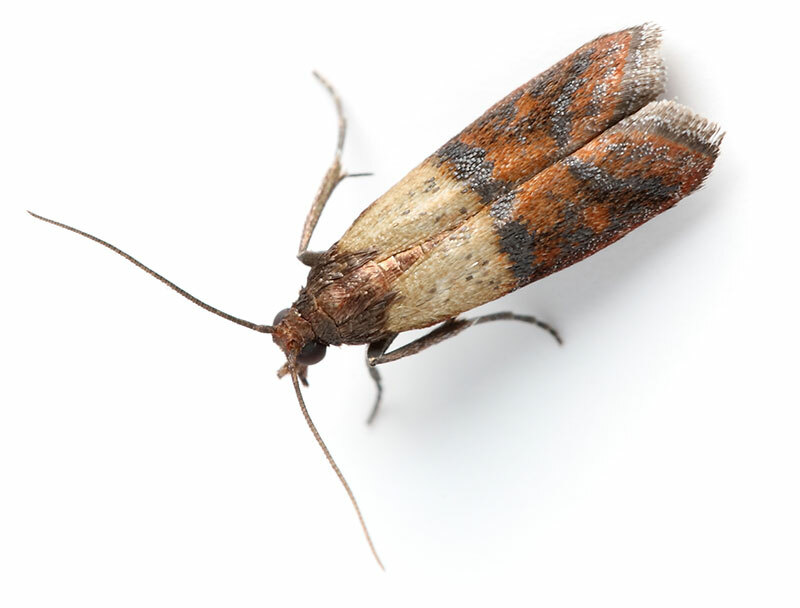 For any moth infestation that is causing damage to your clothes and natural fibres, the moth treatment from Envirosafe Pest Control Ltd is an effective solution you can count on. With a constant cycle of producing larvae, the destruction to your clothes can be relentless and is often happening without you even knowing. You can identify moth damage to clothes through small irregular holes in textile fabrics and pupate as silken cocoons. The Case-Bearing clothes moth grub produces an open ended cylindrical case of silk, and attaches fibres of its food material to this in order to camouflage itself. Here at Envirosafe Pest Control Ltd, our BPCA trained expert technicians offer a thorough inspection of your property followed by long lasting fumigation treatments. We also provide a heat treatment service as a second option to help keep the adults moths from returning to your textiles. We include a 30 day guarantee with our clothes moth infestation services for all customers throughout London and the South East. For full details, please look at our terms and conditions page. For expert knowledge regarding a moth infestation, you can get in touch with us using the contact form below.